Neodymium magnets are the most powerful magnets available to consumers, and working with them requires some special consideration and understanding of their properties. Although it may be tempting to see the force one neodymium magnet has on another, allowing two magnets to collide at full force can cause chipping and breakage, and may cause tiny metal fragments to shear off and become airborne. To avoid potential eye damage that may occur when magnets collide accidentally, causing metal bits to fly off at high speed, it’s a good idea to wear protective eyewear. Don’t allow your neodymium magnet to come near or in contact with computers or magnetic-based peripheral storage units like disk drives or flash drives. Also keep them away from storage materials like cassette and videotapes, computer disks and credit cards or identity cards that use a magnetic strip or microchip. 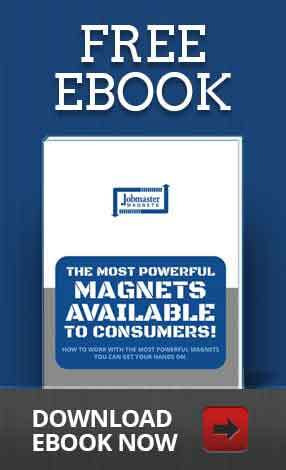 Keep rare earth magnets away from computer monitors, televisions, VCRs and other electronic devices that use microchips, magnets or magnetic fields. Keep rare earth magnets out of the reach of children; small magnets can be swallowed, and the force of some magnets can cause physical injury when small fingers come between a neodymium magnet and a metal to which it’s attracted. Keep these magnets – and any strong magnet – away from individuals with pacemakers since the magnetic field of these very strong magnets may interfere with the pacemaker’s function. When determining the strength you’ll need or measuring the strength of a magnet you own, remember that the surface pull or strength will be less than the magnet’s core strength, which is the strength most commonly used to describe a magnet’s pull (cited as the magnet’s maximum energy product, or BHmax). What’s more, the surface strength can also be affected by the magnet’s coating, the size of the magnet and the distance between the surface and the core. Under normal circumstances including stable, non-extreme temperatures, neodymium rare earth magnets can retain their strength indefinitely. Under extreme circumstances, such as when a magnet is held in a repelling position under very high temperatures, the magnet may lose some of its strength. Nickel: Magnets coated with nickel usually use three layers including a copper layer sandwiched between two nickel layers. Although not waterproof, nickel coatings provide good protection against corrosion. Nickel coatings offer a shiny silver finish. Black nickel uses a dye in the plating process to achieve a shiny finish reminiscent of gunmetal. Gold: Gold plating is used on top of a nickel coating to achieve a golden appearance. These magnets have the same properties as nickel coatings. Zinc: More susceptible to corrosion than nickel, zinc gives magnets a dull gray to black finish which may rub off on a user’s hands. Epoxy: This plastic-based coating is susceptible to scratching and tends to be less durable than other types of coatings; as long as the surface remains intact, epoxy offers excellent resistance to corrosion. 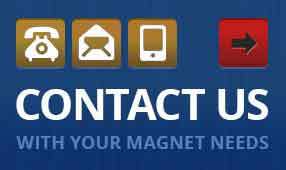 You can use your neodymium magnet to re-magnetize old bar or horseshoe magnets that have lost their strength due to prolonged periods of repelling, improper storage or from being dropped. 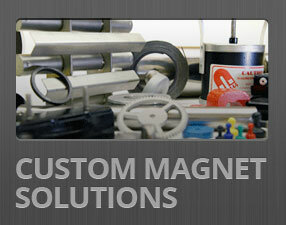 Here’s how: First, determine the poles on your rare earth magnet. Beginning at the center of the horseshoe, stroke the north pole of the neodymium rare earth magnet toward the south pole of the horseshoe magnet; repeat several times. Now, reverse your motions: Beginning at the center of the horseshoe magnet again, stroke the south pole of the rare earth magnet toward the horseshoe’s north pole, repeating several times as you did for the south pole. Interestingly, performing these motions but reversing the poles will cause the horseshoe to become magnetized in reverse orientation.